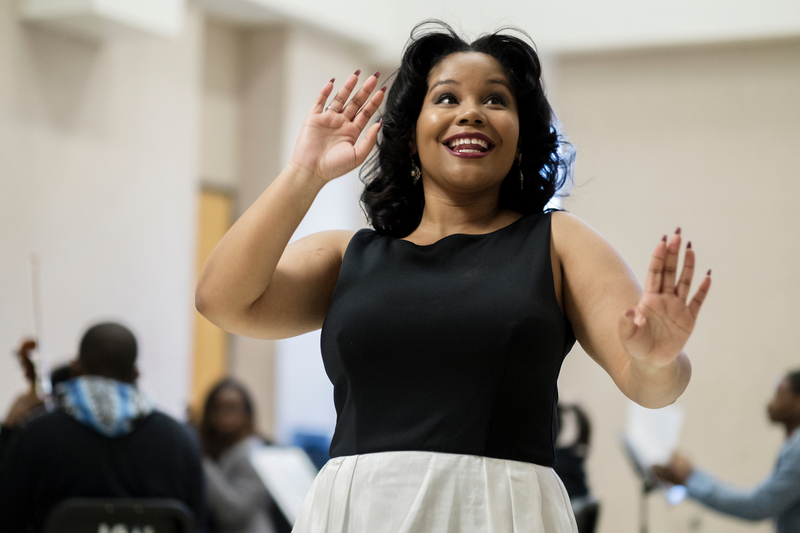 “I was always classified as the little lady with a big voice,” says Hillary Watkins, a senior music vocal performance major at Jackson State University. 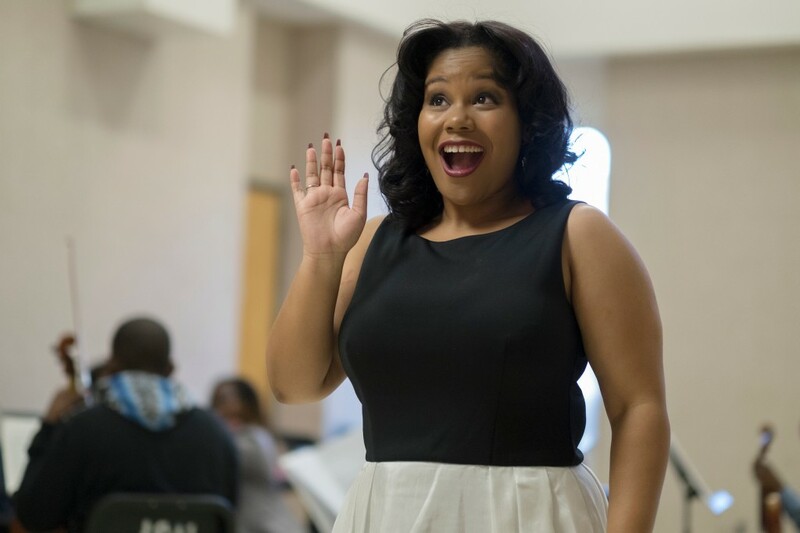 While in Italy, Watkins received vocal coaching from Metropolitan-signed opera singer Elizabeth Stevens, who invited the graduating senior to train with her in New York over the upcoming spring break. AS a child, Watkins’ talented efforts amounted to her singing songs from the musical “Annie” around her Jackson home. 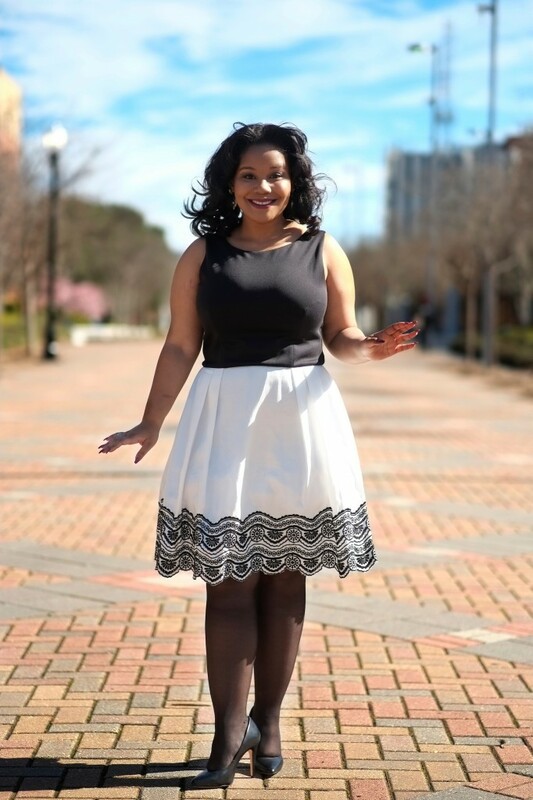 Although she did stints in her middle school choir, it was her freshmen year at Jim Hill High School that would lead the soprano to a full-tuition music scholarship at JSU. Watkins explains the day Jim Hill’s choral director, James Hawkins, invited her to attend practice after school. “I was kind of nervous, so I sat in the back,” she says. After leading the anxious ninth-grader through a musical scale, Hawkins was taken by her “lovely” voice and “just regular Hillary” became a member of the Jim Hill High School choir. “As a freshman, I sang with the student sextet on a song. It was like a big deal. I had a solo or two. A lot of things freshmen did not really do, I got to do,” says Watkins, whose voice resembles the sound of wind chimes when she speaks. Once Castilla listened to the petite powerhouse, he asked Watkins to consider JSU as her college of choice. “And I did,” she exclaims, her voice again tinkling like bells. Like Castilla, JSU vocal instructor Dr. Phyllis Lewis-Hale also recognized Watkins’ potential. When Hale invited American soprano Karen Slack (“For Colored Girls Only”) for a session with select music majors, Watkins received an opportunity to be critiqued by the opera star. “Because she had been developing very well vocally, I wanted her to receive some feedback from an active and accomplished singer,” Hale says. After singing for Slack, Watkins was slightly perplexed by the feedback she received from the professional. “I noticed that she didn’t give me many tips or suggestions vocally and technique-wise. What she did comment on were things in the music I should watch out for,” Watkins says. SLACK would later give Watkins her cell phone number along with the words “keep in touch,” and after several weeks the songstress took Slack up on her suggestion. “I texted her, and she responded. She told me I was very good,” Watkins says. So good, in fact, Slack recommended Watkins for two Italian operas. “I auditioned for both. I sent in audition CDs, and they both responded and wanted me to do the lead roles,” Watkins exclaims. After much deliberation, she accepted the part as the Queen of the Night in “The Magic Flute.” She then traveled to Viterbo, Italy, and spent nearly a month preparing before executing four performances all sung in German. “In the opera, the Queen of the Night was mean, wicked and vindictive. I’m very alluring. But I’m also wicked. I’m so very wicked,” she says. She laughs and again the tinkling sound spills from her mouth. DURING her research of the role, Watkins noticed there were few black opera singers to star as the Queen of the Night. “So, I think being a young African-American lady playing the Queen of the Night was a good look for this character,” she says. The applause from the Italian audience and the shouts of “bravo, Bella,” which translates to “well done” and “beautiful” in English convinced Watkins that she was right. “When I look back at it, you’re your worst critic. I think I could’ve done different things, but they loved it,” she says. After graduation, Hale has hopes that her gifted music scholar will “move on to pursue the Master of Music degree in vocal performance at a high-ranking program such as Julliard’s, Manhattan School of Music or Indiana University’s Jacobs School of Music, as a number of my other students have done,” she says. Once Watkins sings in her chill bump-producing soprano, it’s easy to believe that she is destined for greatness. Notwithstanding, she expresses that she is open to all major opportunities that may materialize during her last semester at her HBCU. But, her current focus is learning her music and completing her required recitals. 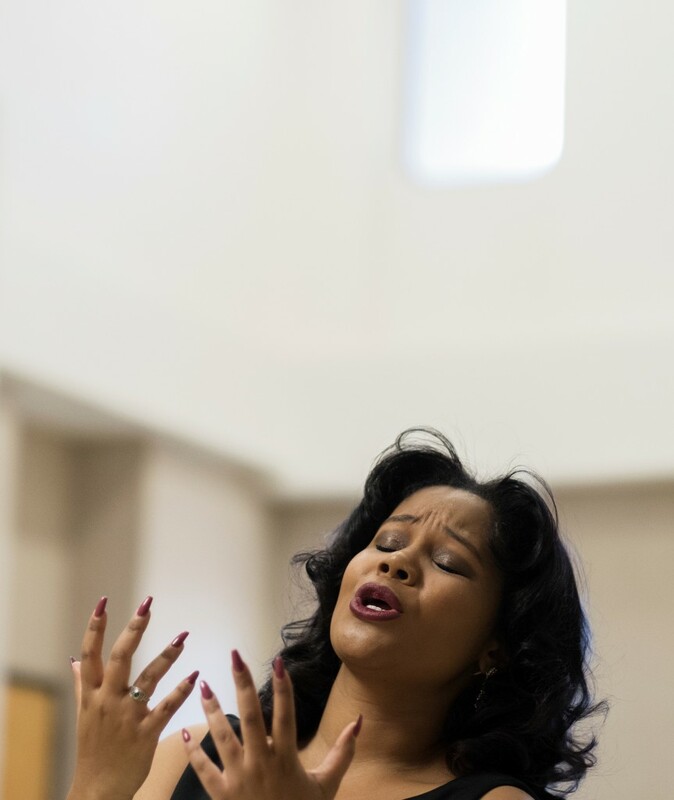 at 8 a.m. Feb. 24 and JSU’s Opera Workshop on April 23.